A clutch inspired by the classics. This is a brand-new and never-seen-before evening accessory for the Cruise 2018 Collection. 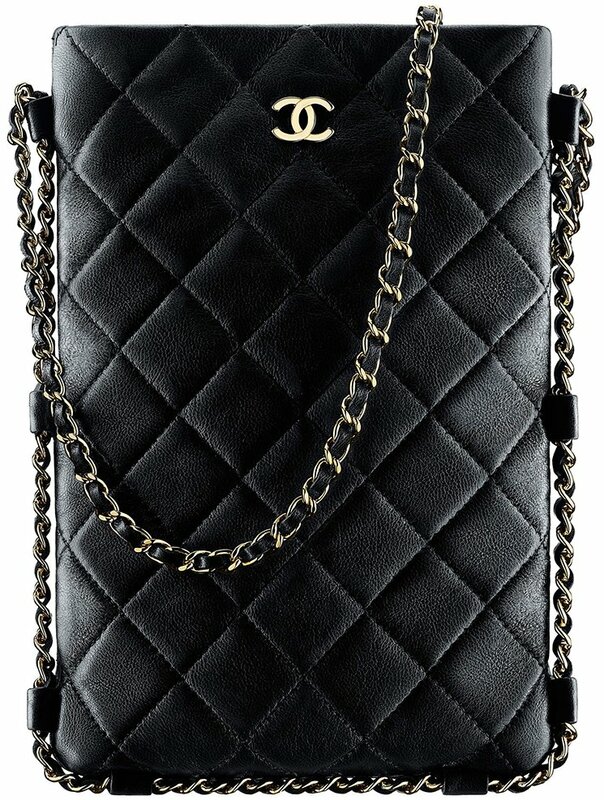 Meet the Chanel Large Clutch With Chain Around. 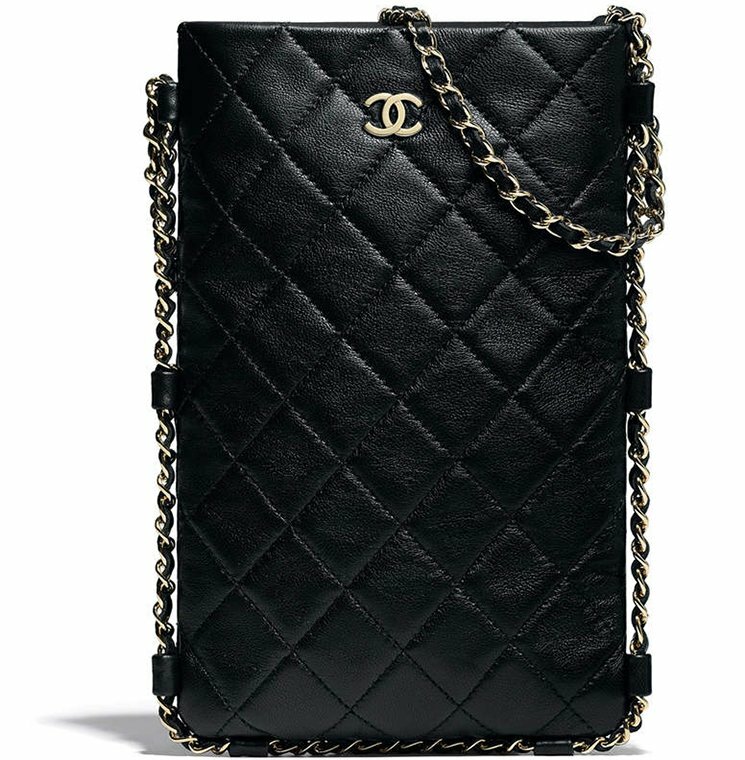 The shape of this designer bag immediately separates itself from the rest – it’s different than the Chanel O Case and the Classic Pouch. 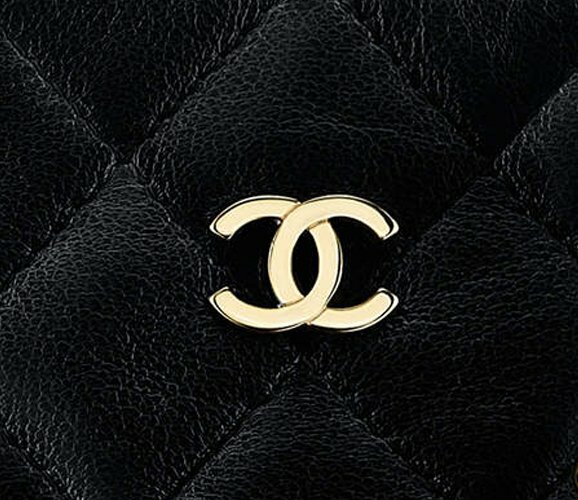 Everything designed on the Large Clutch With Chain Around reminds you of the Classic Flap Bag or the Classic Quilted WOC. 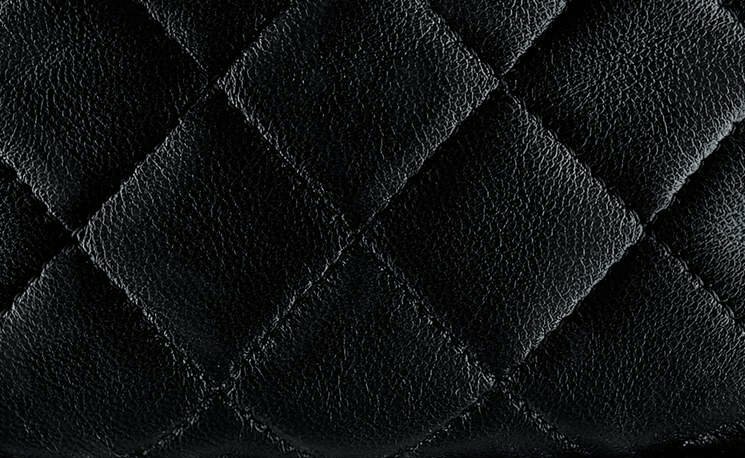 The body of this bag is diamond quilted, the top is embellished with the signature smooth CC logo and it comes with the woven chain leather strap. And what makes this bag unique is the way in which the woven chain leather is constructed. The chain leather is made around the bag, which enhances its classic look by the gold hardware. The Large Clutch With Chain Around is made in lambskin, but there might be more leathers choices at the boutiques. It’s also slightly more expensive than the Large O Case, but it does come with chain for easy carrying. Because this is a clutch and a small accessory, the interior space is also limited. However this bag is capable of carrying all your evening or daily essentials and perhaps there is even space for a little more. Style code A81174, measuring 8.1’ x 5.5’ x 1’ inches, priced at $1800 USD, $2350 CAD, €1690 euro, £1560 GBP, $2840 SGD, $14700 HKD, 8930 MYR, ¥224640 JPY via Chanel boutiques.